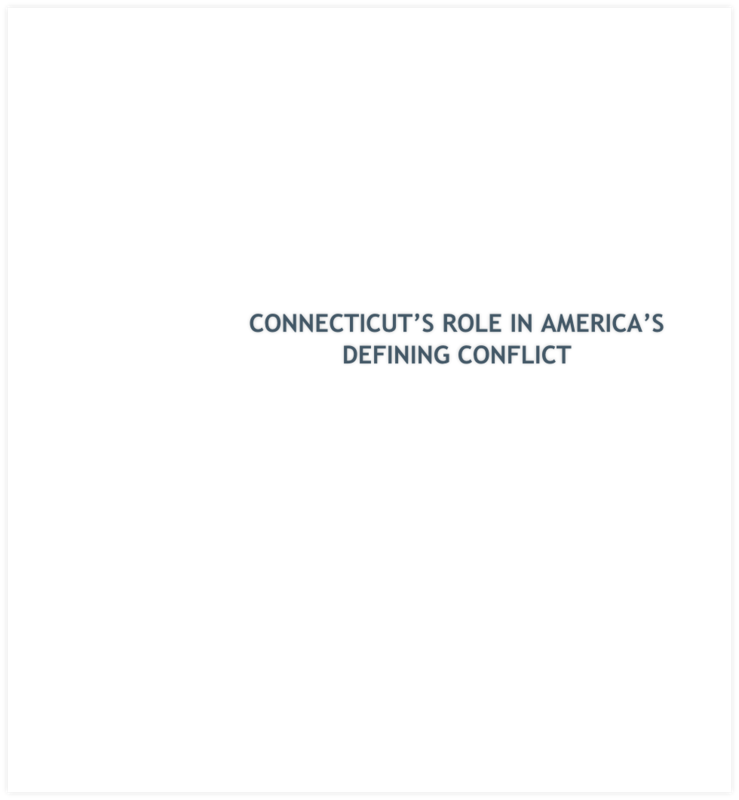 From the sixty-year war against slavery to the four years of actual fighting, Connecticut played a vital role in the United States' defining conflict. Great abolitionists' refusals to be silenced, inventors' work on the tools of war, heroes who gave everything to save the Union–all contributed to the ultimate victory. An extraordinary display of industrial might made Connecticut the envy of most other states in the threatened Union. Why was one of the nation’s smallest states able to play such a big role? 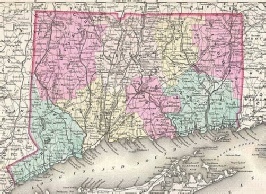 None of the ten thouand battles of the Civil War took place in Connecticut. There were several so-called Peace Flag battles in which Confederate supporters attacked or were attacked by Union men. The three most significant took place in New Fairfield, Trumbull, and Old Saybrook, in August 1861. 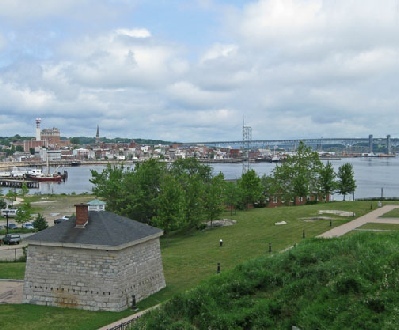 But the absence of battles does not mean a shortage of sites related to the Civil War. Dozens of factories that produced weapons for the Union army (and some for the Confederacy) remain standing although modern makers use modern buildings. testament to the millions of dollars made by Connecticut industry during the four years of war. Still standing too are dozens of houses owned by generals and soldiers, abolitionists and politicians, journalists and musicians. Almost all of the state’s 169 towns have at least one Civil War monument while many have several. 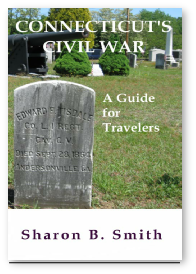 Nearly every town honors Civil War veterans in one or more cemeteries, while dozens of museums and historic houses feature Civil War exhibitions.